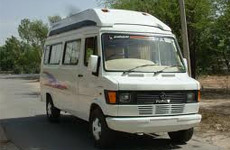 We are providing 12 Seater Tempo Travellers for various destinations in India. 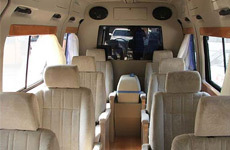 We are having the best tempo traveller that our customers feel comfortable during their travel. We customized our tempo traveller and add up many luxurious features that would make the traveller have a comfortable journey. 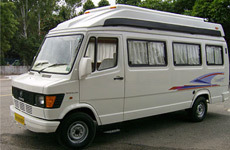 Having well trained Tempo Traveller drives who are the best in their jobs. We know the importance, It is to this regard that we have taken it upon ourselves to ensure that we do not keep our customers waiting even for one minute longer.